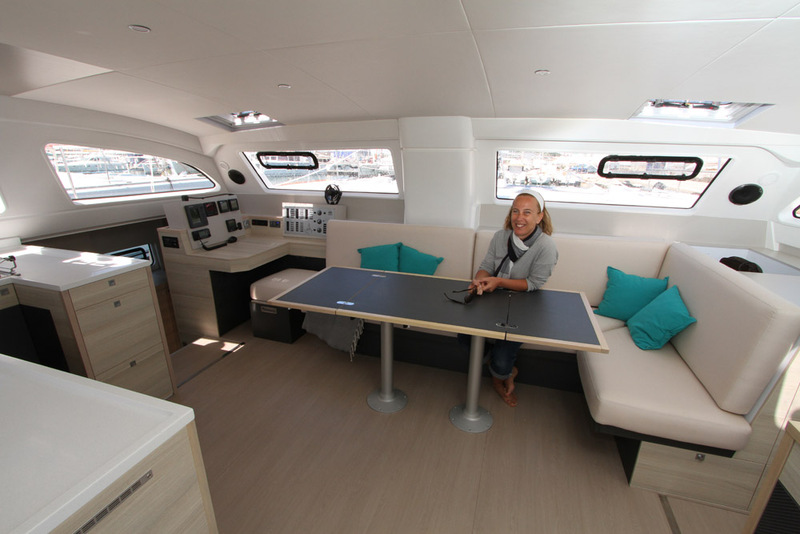 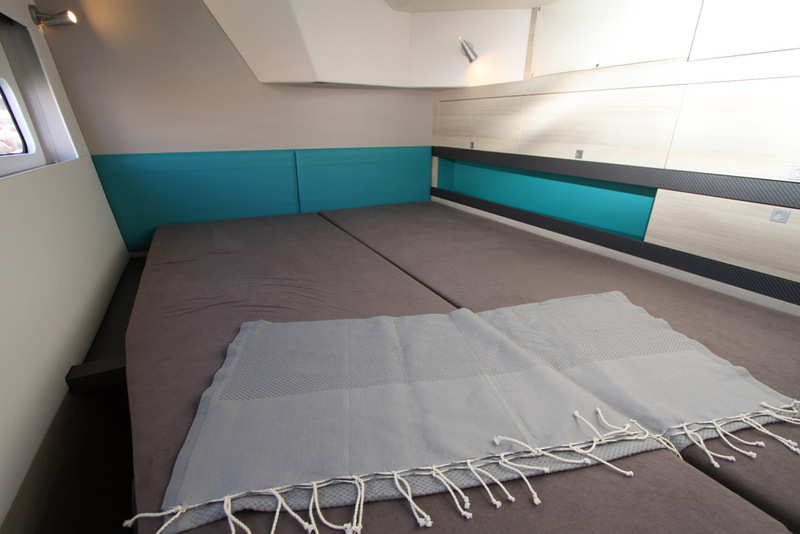 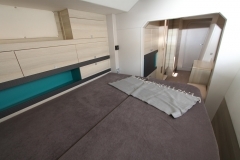 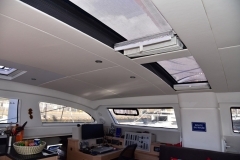 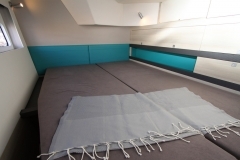 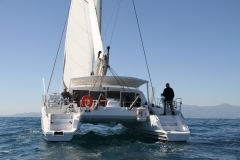 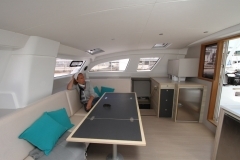 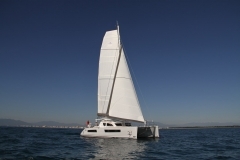 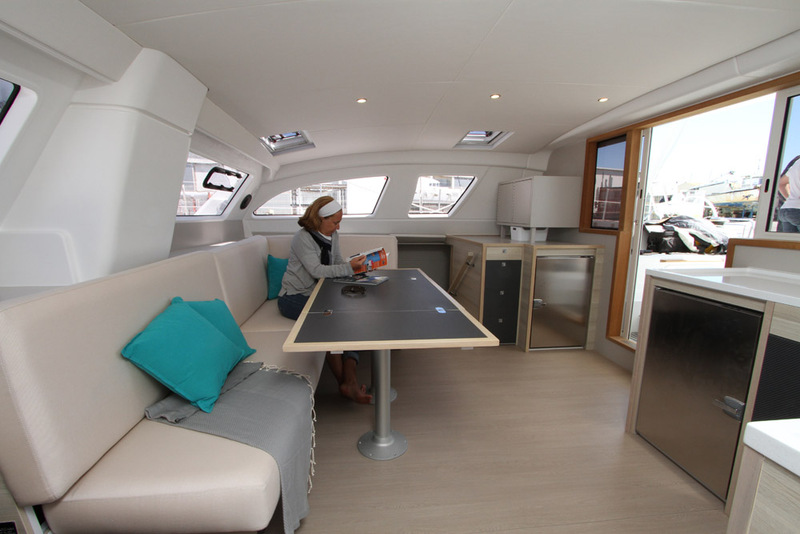 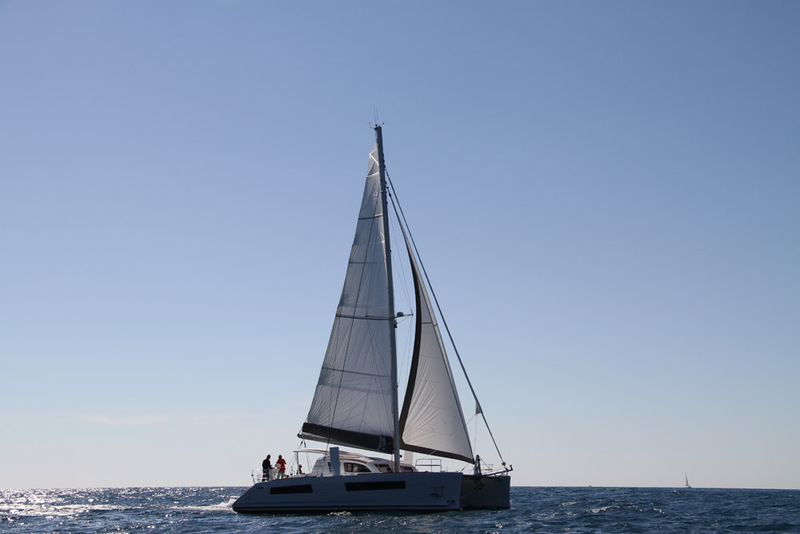 Seen form the inside: In the three cabin, owner’s version or standard 4 cabin version, the Catana C47 comfortably accommodates 6 to 8 people for a long crossing. 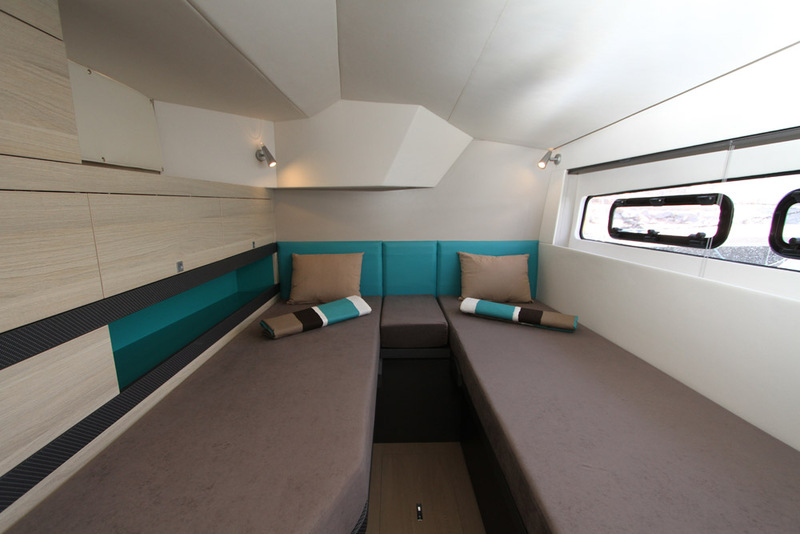 A spacious and light interior provides great comfort for a trip round the world as a couple or single-handed. Its already legendary ease of use in all weathers combines with ease of maintenance and of resale, to give total peace of mind. 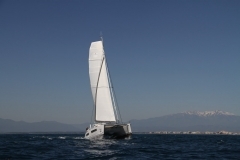 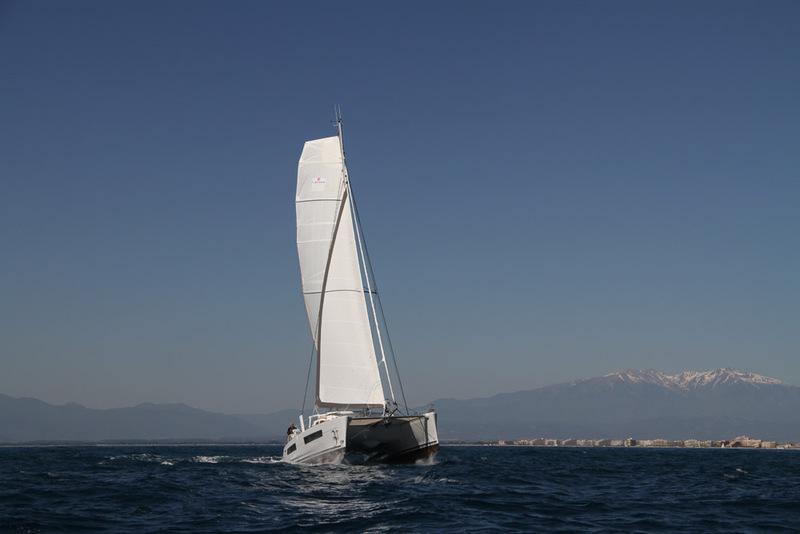 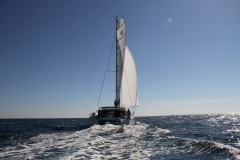 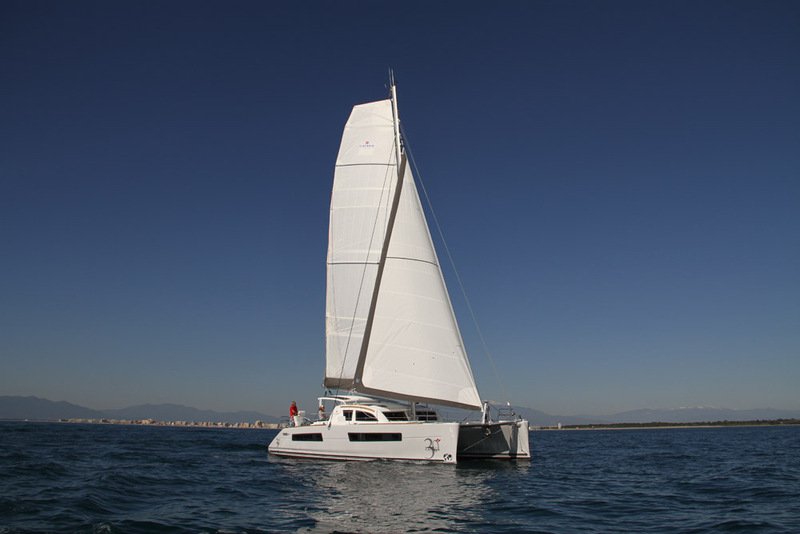 At the helm, the Catana C47 proves itself to be extremely easy to handle. The instruments are all mounted in the cockpit, where footrest, life-lines and handrails have all been designed to allow you to move around freely and easily. 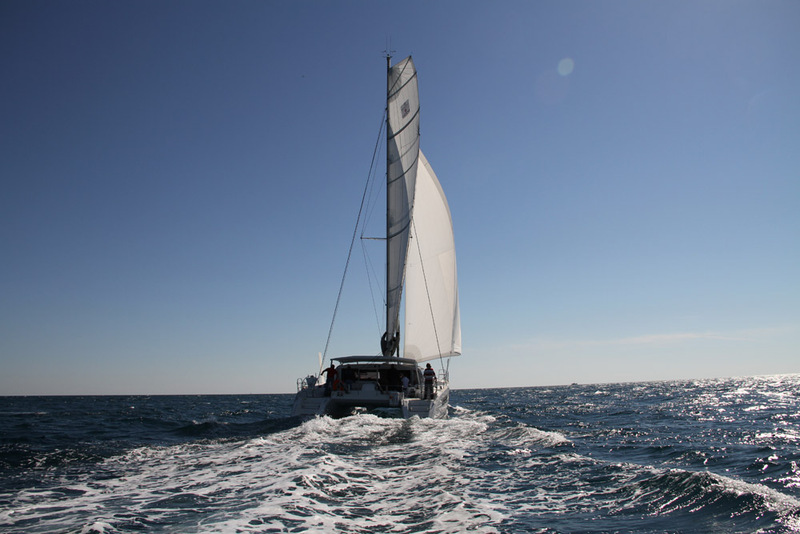 Tacking, taking in reefs, handling the daggerboards are all done with ease. 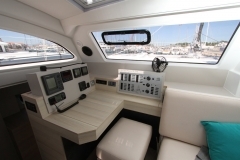 All with the optional assistance of electric winches. 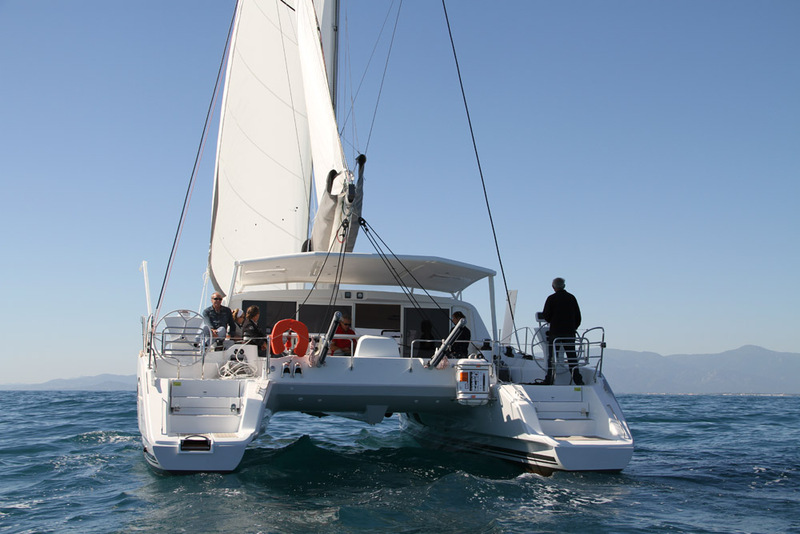 There you are at the controls of a ultra-performance catamaran, capable of maintaining high average speeds over long distances. 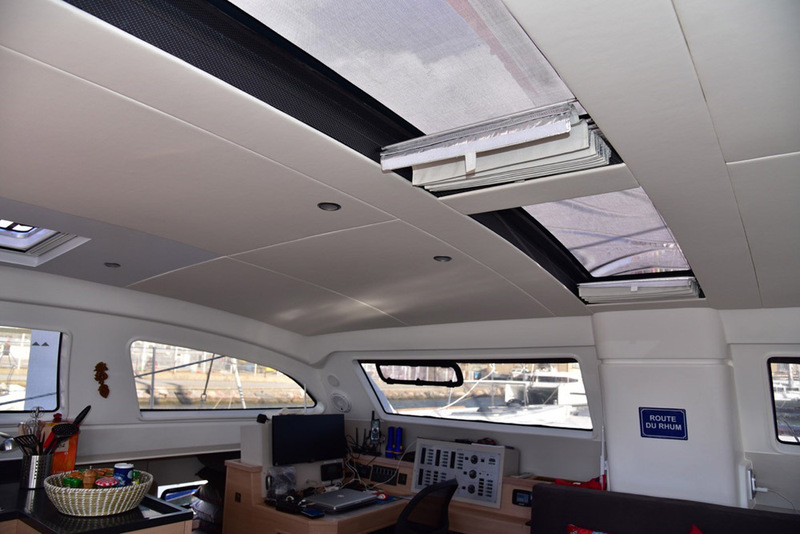 Achieving up to 25 knots during initial sea trials, equally light and lively, an exceptional ability under sail, it gives the helmsman and the crew an incredible sensation of speed and acceleration whilst remaining stable and comfortable thanks to the large bridgedeck clearance. 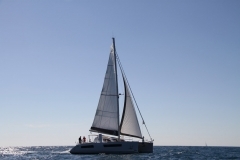 Find out for yourself on the sea or ocean of your choice.